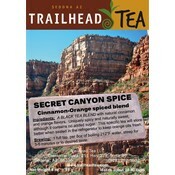 BLACK TEA BLEND with natural cinnamon and orange flavors. Uniquely cinnamon spicy and naturally sweet, although it contains no added sugar. 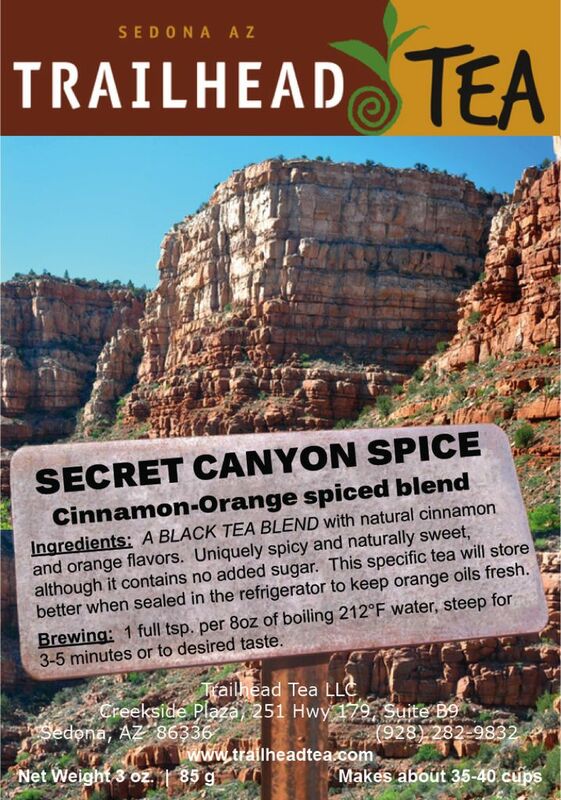 This specific tea will store better when sealed in the refrigerator to keep orange oil fresh. BREWING: Full teaspoon for every 8 oz of boiling 212°F fresh water. Steep for 3-5 minutes or longer to desired taste. A second or third infusion is possible by increasing steep time one minute each time. 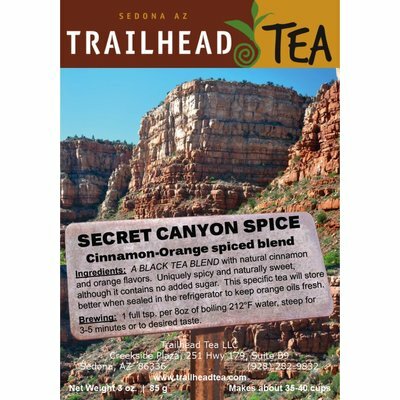 I have experienced many very good teas, but since my visit to Sedona and my first cup of Secret Canyon Spice I have found the ultimate tea experience! It is so delicious & naturally sweet you need to experience it to understand.